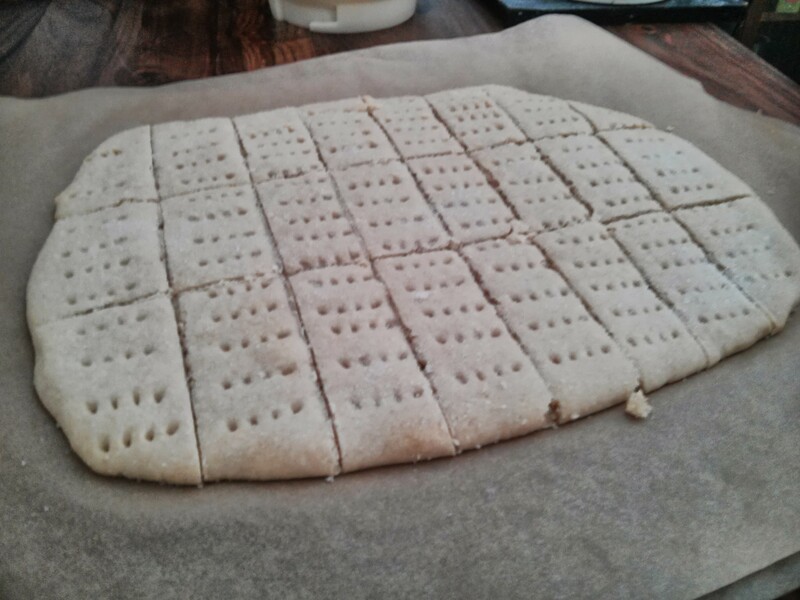 My first attempt at shortbread fingers was an amalgam of various similar recipes I’d found online and in books. 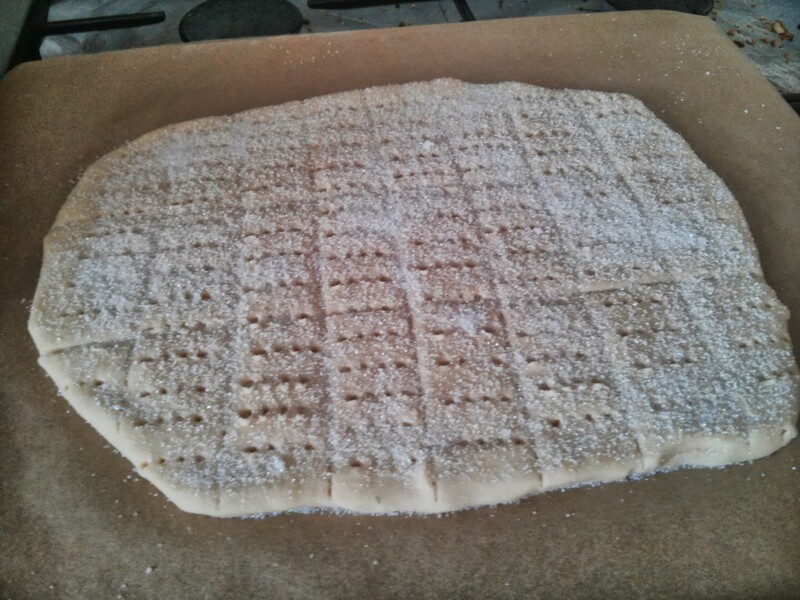 This time I’m following America’s Test Kitchen’s recipe, which is very different: it uses icing sugar (and not much of it) and processes the dough a lot more than you’d expect for something that’s supposed to be short. 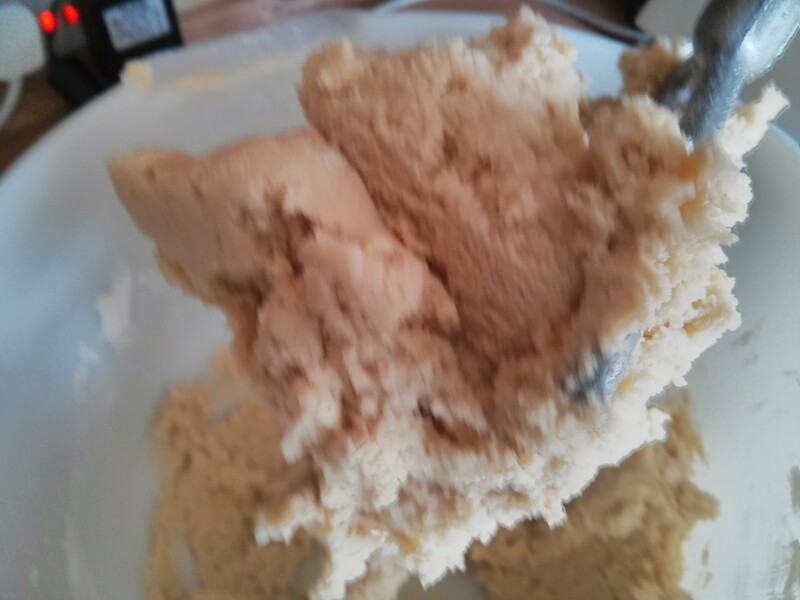 You start by creaming the icing sugar into the butter in a mixer, until it’s light and fluffy and starts to form soft peaks: about 3 mins on medium setting. You then mix in the flour and salt on a low setting, taking about 30 seconds. It looks rather rough at this point. 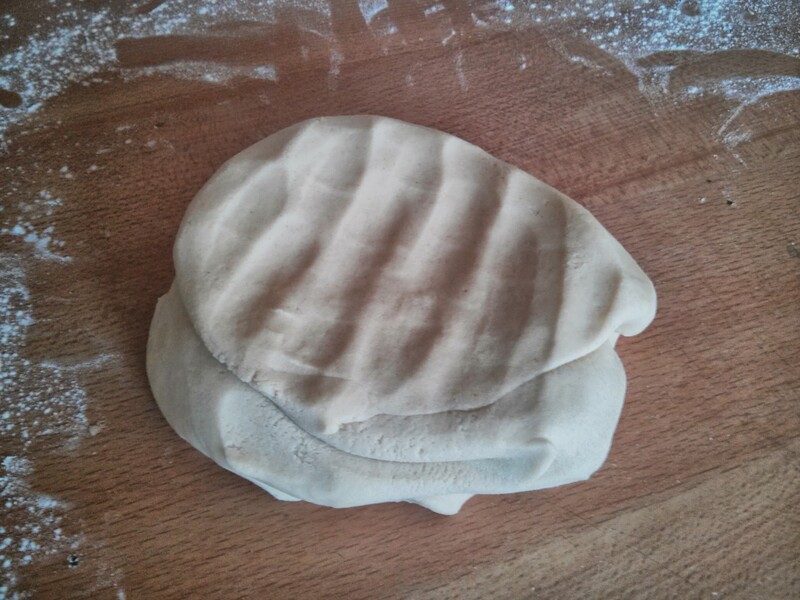 You then bring together into a ball and knead it on a floured surface for a minute or so until it goes smooth. 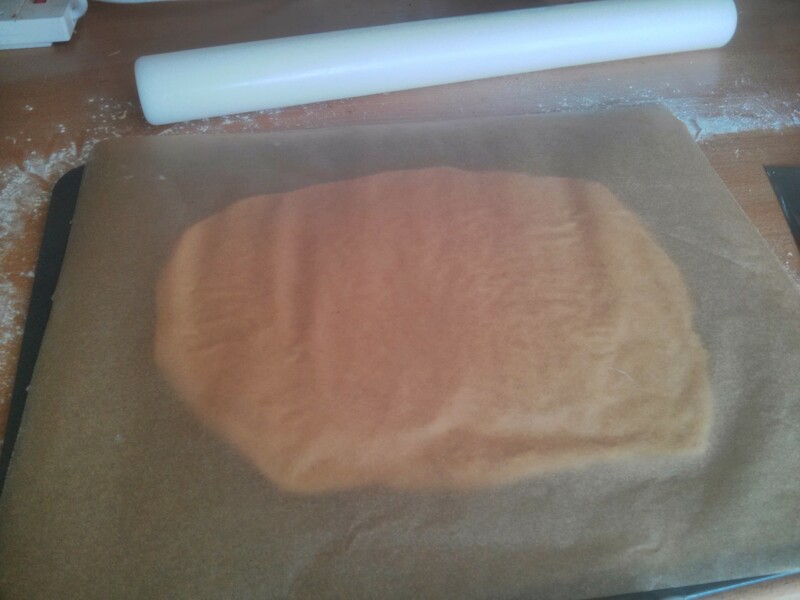 Then it goes between parchment paper to be rolled out, either into a circle if your’e doing a round shortcake, but for me and my fingers it was an oblong. 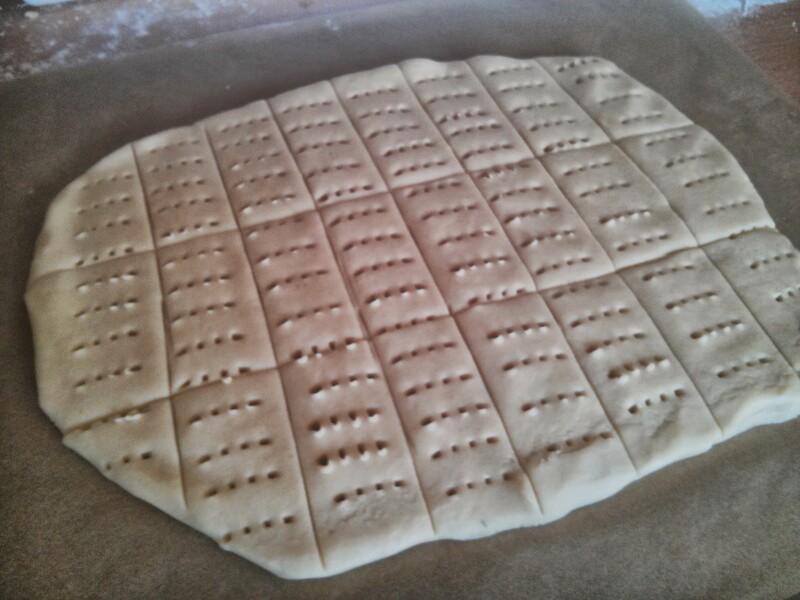 The top parchment then goes under the base one (to help soak up butter dampness during cooking). Oh and you do want to use parchment for this one, as you’ll be cutting on it, so you don’t want to cut through your silicone sheets! Now score the cuts you’ll want to make, then use a fork to prick holes all the way through to avoid any air pockets (turns out the holes aren’t just for decoration!). 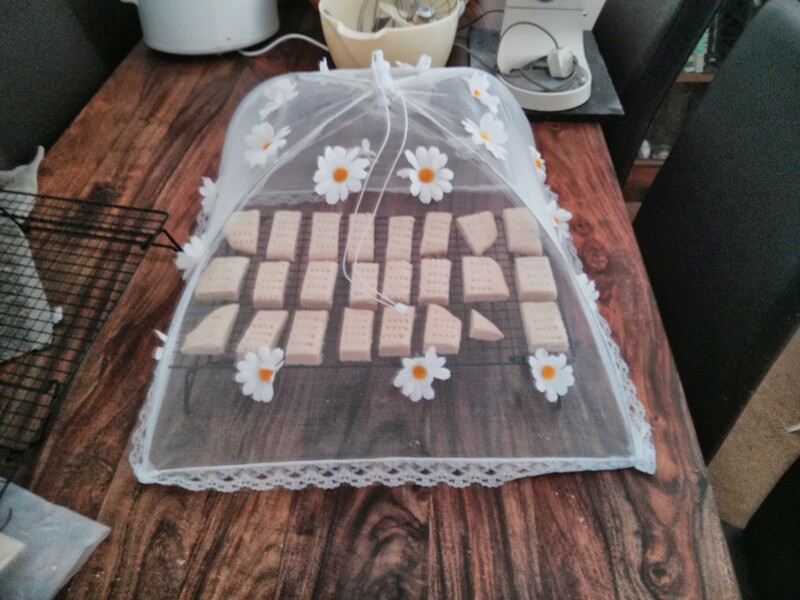 This then goes in the fridge for ten minutes. After chilling sprinkle the granulated sugar over the top (and then brush any that went over the side off the parchment). This then goes into the oven at 130c fan for 20 mins, then gets rotated for another 20-25 minutes until it just starts to get some colour. 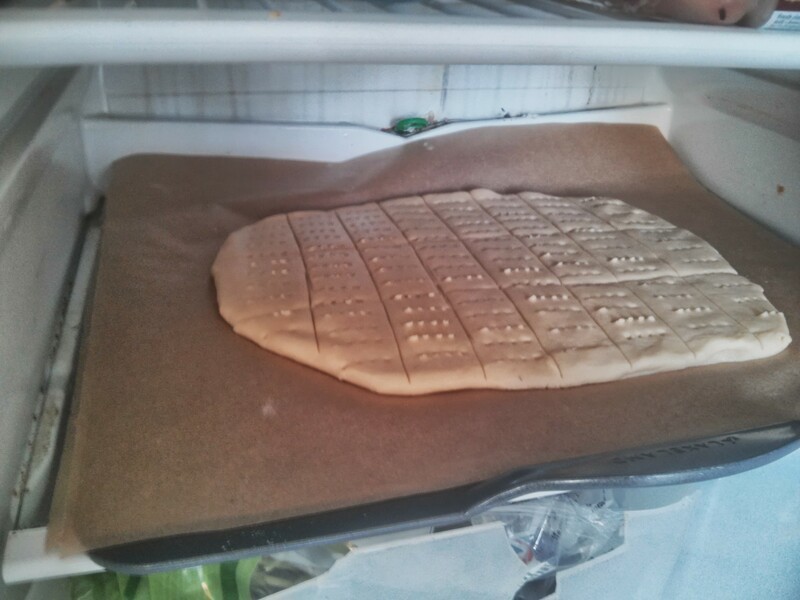 As soon as it’s out of the oven, use a sharp knife to cut alone the score marks, then slide the parchment onto a cooling rack. As you can see, they really look the part! And they’re amazingly short and delicious; once again I’m very impressed with ATK. 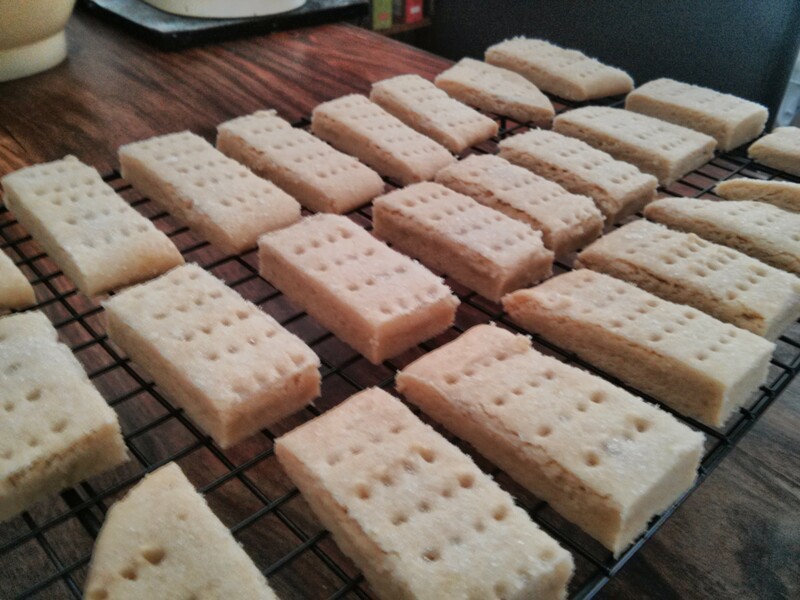 Just the right thickness for shortbread. I’ll give your recipe a try.